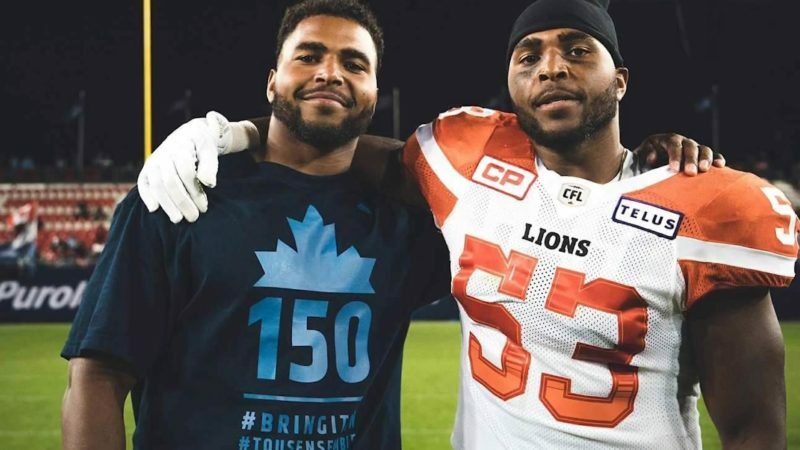 Spend just a couple of moments interacting with the well-spoken Jordan Herdman and you quickly come to the realization he could pursue just about any post-football career he chooses. 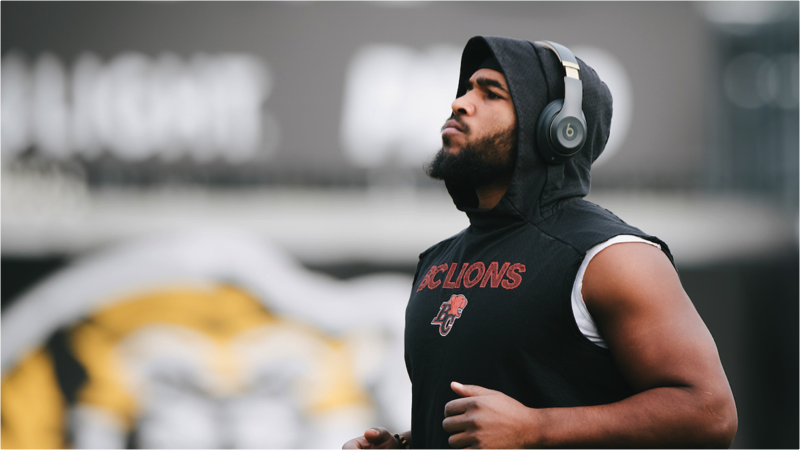 So it wasn’t much of a surprise when once we got past the usual offseason banter about training programs and catching up with loved ones in his hometown of Winnipeg that he mentioned studying for the MCAT was also on his agenda. After all, both he and his twin brother Justin majored in Biomedical Physiology at Simon Fraser University. “That’s (medical school) something I’ve always wanted to do, post-football,” said Herdman. And that was confirmed on Wednesday morning when the linebacker officially put pen to paper on a contract extension that will keep him in orange through the 2020 season. 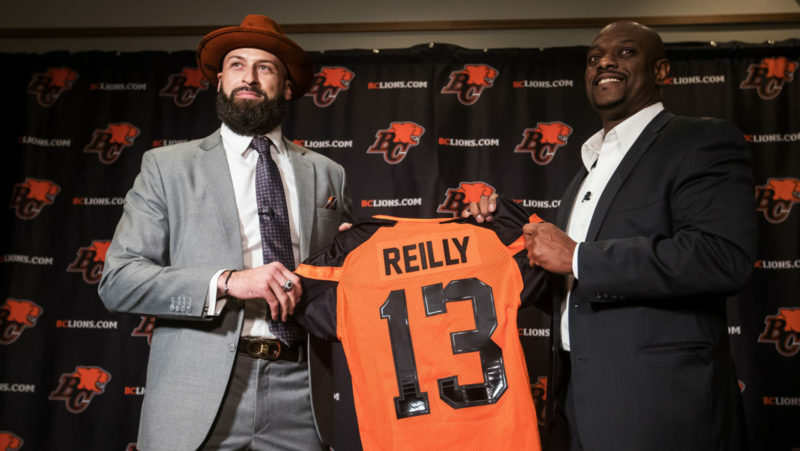 Certainly well-deserved after a sophomore CFL campaign that saw him with an increased role on defence, even some starter duties after injuries to veterans Solomon Elimimian and Micah Awe forced the club to look further down the depth chart. 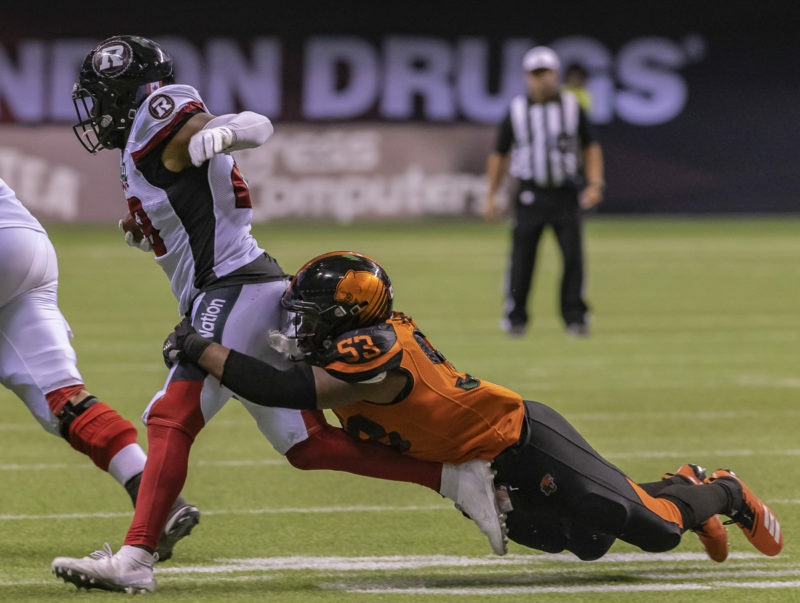 He proved from the get-go the task of filling big shoes was not nearly too big, recording a season-high 12 defensive tackles in his first start at Ottawa on July 20th. After turning heads as a ferocious special teams asset in his rookie season, the youngster who set numerous records at SFU was ready for a bigger role. “It was outstanding,” explained Herdman of his year two experience. 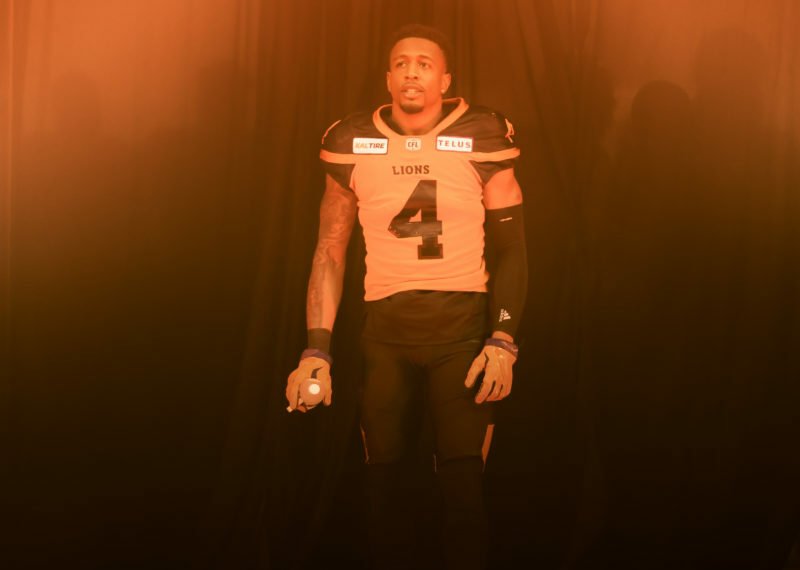 Yet personal goals will not be savoured forever, especially after Herdman and the Lions’ Grey Cup aspirations came crashing down in Sunday’s disappointing result in Hamilton. 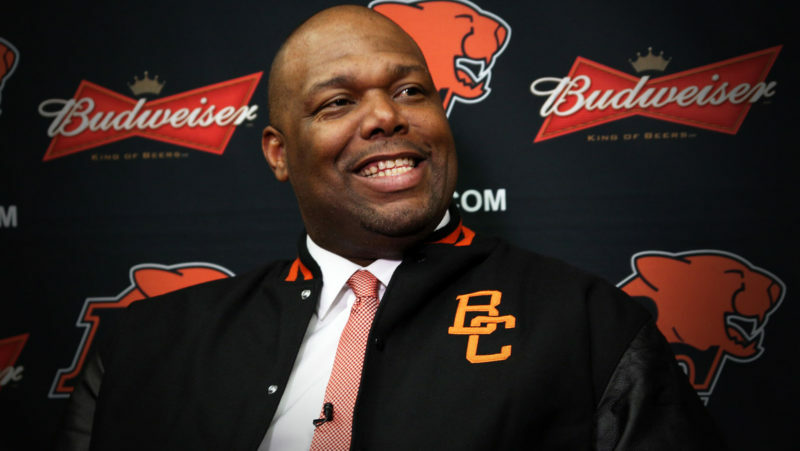 General Manager Ed Hervey was candid with his players during their final exit meeting this week: watch out for the BC Lions in 2019. It was that re-assurance from the top that makes key figures such as Herdman want to sign new deals well before free agency. “It was something great to hear; that he has faith in the group that’s going to bring in next year,” said Herdman. All he has to do is look at Justin’s hand to get even more jacked up for his offseason training. Justin earned a ring with the Toronto Argonauts in 2017, primarily in a special teams role. “That is definitely fuelling me a lot,” said the Lions’ Herdman. The Herdmans’ father James Reed is a former linebacker for the Winnipeg Blue Bombers, had a cup of coffee with the Philadelphia Eagles and even spent time in the now-defunct USFL with both the Washington Federals and New Orleans Breakers. He stayed in Winnipeg when his playing career was over and that’s where the twins were born in 1994. When it comes to mastering the craft, Jordan still uses his dad as his number one resource. “He’s my father and my coach at the same time. That’s outstanding when you have someone like your father to lean on for football-related stuff,” stated Herdman. Now he knows he will be making those phone calls for at least two more years. Whether it’s talking football or anything to do with science or medicine, you know he will always give it 100 per cent.